Heartless was the November Owlcrate selection & The Trespasser by Tana French was the book I selected for my Book Of The Month subscription. 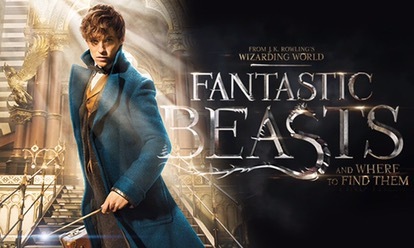 I ordered Fantastic Beasts and Where To Find Them the same night I watched the movie cuz it was THAT good! hehe. The Sun Is Also A Star will be my 1st Yoon even though I own Everything Everything, I was hooked once I read the synopsis for The Sun Is Also A Star so I hope that it’s as good as what I hear its predecessor was. Hope you all had a good November filled with good food and great reads! Although November was a bit rough, i’m hoping for a better December. What were some of your EPIC reads for November? watch anything new on Netflix/Hulu?